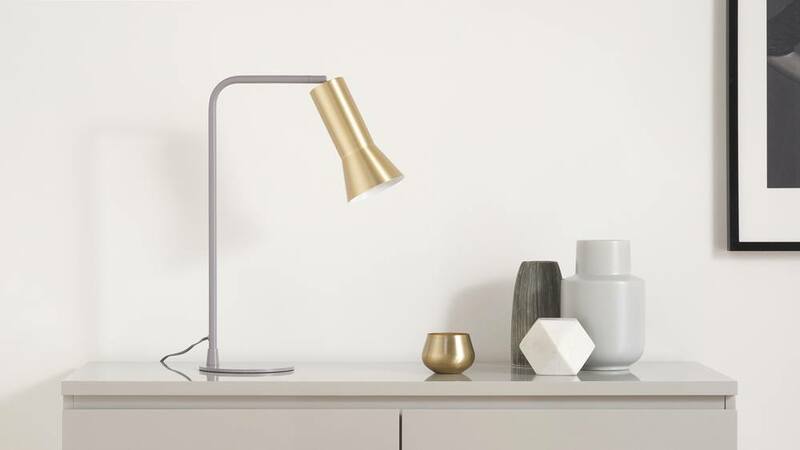 Task lighting, like the Alfie Grey and Brass Table Lamp, will help Illuminate dark corners and provide accent lighting wherever you place them in your space. Please note, a bulb isn't included with the Alfie table lamp. You'll need an E27 bulb with a max of 40 watts. 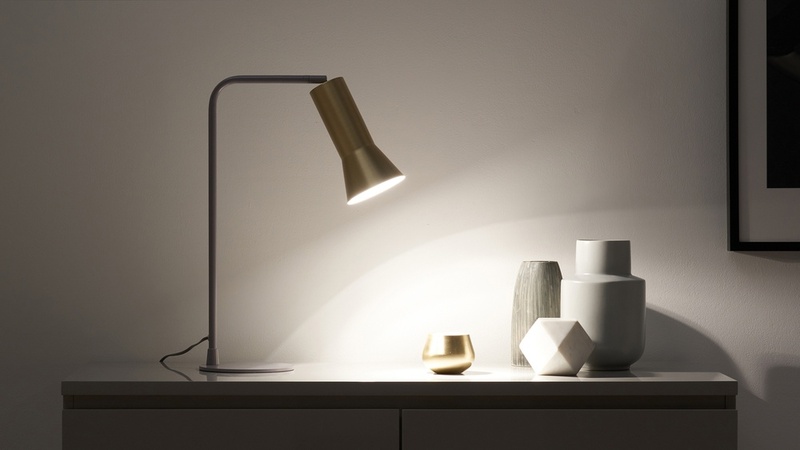 The arm of the Alfie light remains static, however, the lampshade is adjustable. 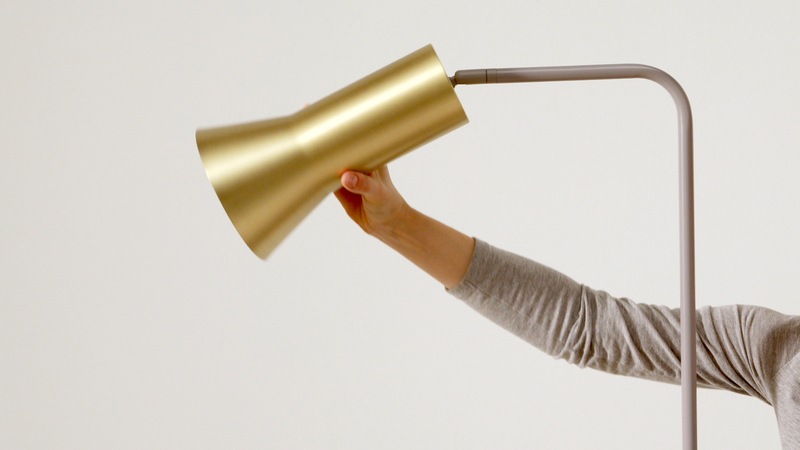 This lets you suit the light to where it's needed in your space. 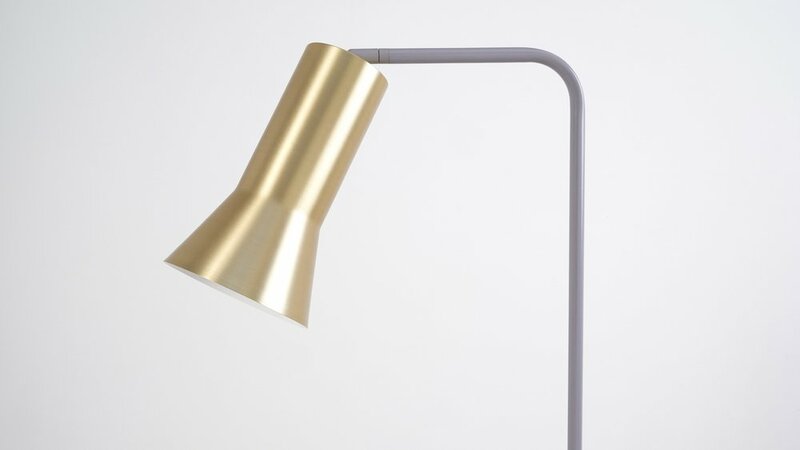 The frame of this desk light is finished in a grey powder coat with a brushed brass lampshade. Lighting is a great way to introduce accent finishes to your home as the look is sleek but not overpowering. The undeside of the Aflie table lamp has a woven protector. 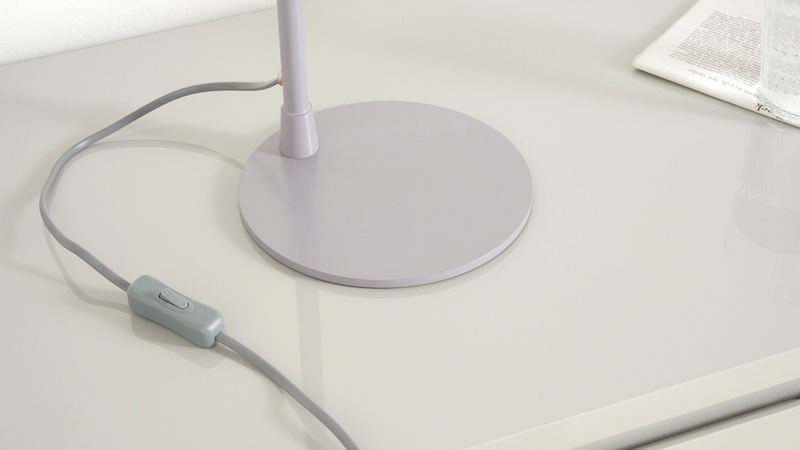 This has been designed to help protect both the lamp and your surfaces. 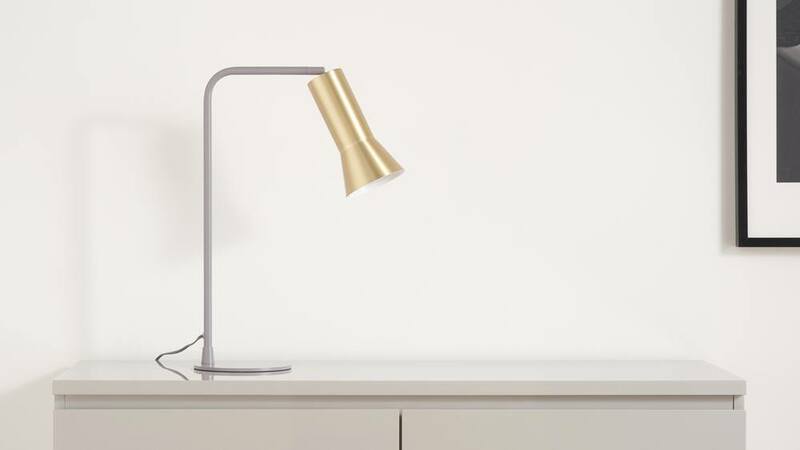 We also have the matching Alfie Grey and Brass Floor Lamp if you're looking for a larger piece, or if you want to coordinate your lighting throughout your space.